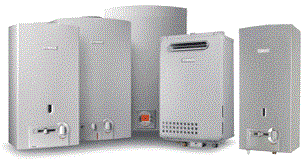 The DHC-E 8/10 is a powerful, flexible, point-of-use water heating solution. 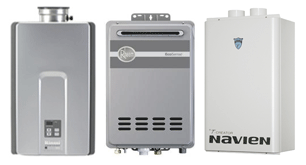 The DHC-E 8/10 offers high 9.6 kW output, in an affordable, compact package. Great for that kitchen sink at the end of a long pipe run, or for multiple low-flow sinks in a commercial application. The DHC-E 8/10 is actually two models in one - switchable between 7.2 and 9.6 kW via a jumper during installation. One model specs more jobs than ever before! 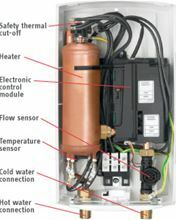 The Steibel Eltron DHC-E 8/10 continually heats water instantaneously as you require it - and only when you require it. 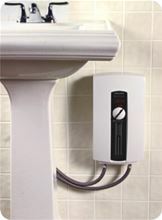 The DHC-E 8/10 unit completely replaces a conventional tank heater with no disruption to your comfort and hot water needs and is used for single point-of-use installation such as sinks. Also, can be used for whole house area with showers using lower flow rates and in areas with warmer water.